Ahhh summer! The time when we get to relax, plan, create, spend quality time with the people we love, and HAVE LINKY PARTIES!!! Oh my gosh! There are so many going on right now, I just have to link up to a few! But before I do so, I want to remind you that if you would like to contribute to my giveaway coming soon, email me at allieelliott@yahoo.com or leave me a comment! It's going to be a great giveaway, and I already have a couple friends involved! I'd be happy to give away ANYTHING- it doesn't have to just be a teacher item! 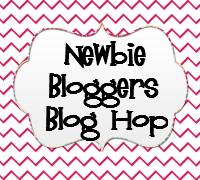 Secondly, I'm looking for some guest bloggers! I'm going on vacay during the first week and a half of August, and want some awesome peeps to come share! If you would like to guest blog, please fill out the form on my Be My Guest! page above. Alrighty! Now for the linkies! Remember! 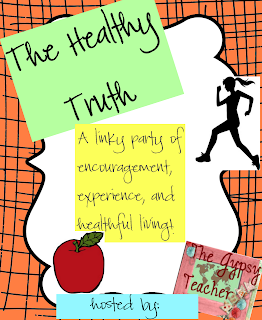 I'm having my own linky about healthy living! It's my first one, so link up! If you've never heard of wordmark.it, please head over to her blog and get enlightened! If you use Google Chrome for your web browser, you can get an app for it put on the browser! The next partay is an AWESOME resource! The teacher wife is hosting this linky! I'm super excited to sit down one day, and read all the posts, and make a huge list for my classroom library! Instead of trying to think up my own list, I thought I'd share an AWESOME resource! This should definitely be bookmarked on your computers! Storyline Online is a website you can visit where you can play videos of celebrities reading your favorite picture books! 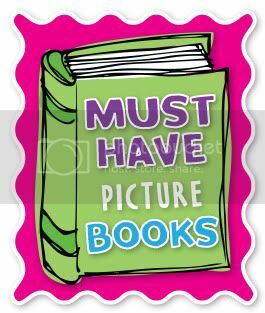 Your kiddos may not recognize all of them, but it gives them more reading enrichment with a different source! Show this on your Smartboard on a day when you're too tired or too sick to read, or when there is a sub in your class! Remember BOOKMARK. You'll thank me later! I know, it's not that guilty! But I love tea! Hot tea is my fave- with the works! Cream, sugar,...delish! I love iced tea too. Besides water, it's my drink of choice! I LOVE going to thrift stores, garage and estate sales, and finding gems that no one else would find cool. It seriously is the thrill of the hunt! 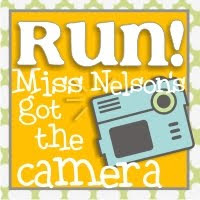 I have an old camera collection, and I love finding things for the home, and the classroom! EEK! It's a combo of Pinning and exercising! I do it best with my iPhone on the stationary bike at the gym! I'm currently finishing up my degree- so no job yet! But I'm hoping to substitute this year. I really want to teach 3rd and 4th grade! I've had student teaching/practicums in 1st, 2nd, 3rd, and 5th grade, but I've worked with all ages in some way or another! Currently party! This is July's template. party that starts on, you know, Monday! Thanks for linking up. Love your font selections. Thanks for summing up all the current linky parties. I was gonna have to dig back through google reader and now I don't. Thanks! Found you through the blog hop. I'm your newest follower. 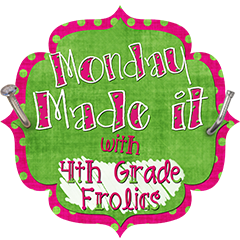 if you get a chance please visit my blog @ Calling Plays in 2nd Grade. I love your blog! I found you through the newbie linky. I'm glad I did because I love me some fonts, but somehow missed the font linky. I'm off to join up right now!